The divorce process can be a challenging and overwhelming process, regardless of the reason for the dissolution. Fortunately, there are a few steps that couples can take to make the divorce process go more smoothly. To learn more about these steps, please contact our dedicated divorce legal team for assistance. One of the first steps that a divorcing couple should take when beginning the divorce process is assessing their financial situation. Each partner should have a thorough understanding of what they own, both jointly and separately, as well as what debts they owe. Making a list of all assets is crucial to this process, including bank accounts, retirement plans, real estate, personal possessions, vehicles, jewelry, and other valuables. 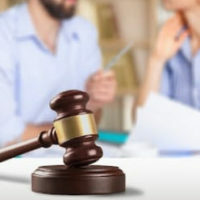 Having these items appraised is also a good idea at this stage, as it can make it easier to achieve a property settlement agreement and so avoid having one’s assets distributed by a court. When possible, divorcing couples are also encouraged to begin setting money aside into separate bank accounts, as continuing to share a joint account can muddy the waters when it comes time to divide assets, or determine alimony. For those who are dependent on their spouse’s income, taking this step may not be plausible. However, even in theses cases, couples should try to set up a budget and plan for their financial futures by calculating income and expenses. Taking the aforementioned steps is often impossible without first ensuring that one has access to important papers and financial information. This includes collecting not only account numbers, but also proof of identity, such as birth certificates and Social Security Numbers, as well as a list of the passwords used to access bank accounts, insurance plans, utility accounts, or cell phone accounts. It’s also important to remember that these passwords protect important information and so should be stored in a safe place. Emerging from a divorce with a positive attitude can be difficult, especially following an especially acrimonious dissolution. In these cases, it can be helpful for couples to find a support group made up of others going through similar trials, as these groups are often provide valuable emotional and financial support. This is especially true following divorces resulting from domestic violence or substance abuse. Couples with children may also want to consider enrolling their children in support groups of their own or schedule meetings with a therapist to ensure that their transition to post-divorce life is as smooth as possible. If you are thinking about getting divorced, you need the advice of an experienced family law attorney to learn more about how planning appropriately can help you achieve a more favorable outcome. Please contact dedicated Fort Lauderdale divorce attorney Sandra Bonfiglio, P.A. today to learn more about how we can help. You can reach a member of our legal team by calling 954-945-7591 or by submitting one of our online contact forms.